Spotted the problem yet? 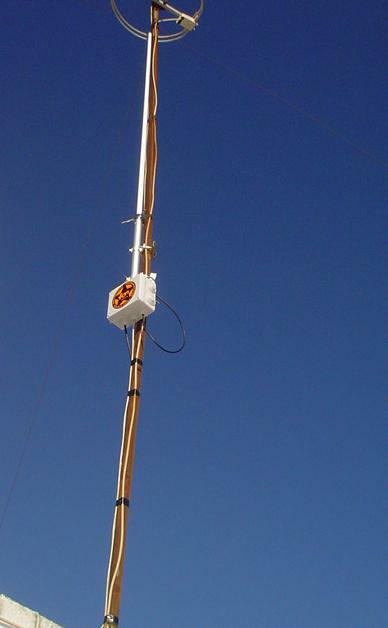 Radio antennas are affected by any element that is present around them, even non-metallic elements, such as the ground. In this particular case, kanijo, a Fonero, has attempted to provide more “range” to his FON hotspot, which is in itself commendable, however, the means may not result in the desired end. You can see that the vertical omni antenna, a carefully tuned radiating element, has been strapped to a metallic pole, which also runs a coaxial cable into a TV antenna right on top. The router is inside a sealed plastic box, with power and Ethernet going into it from below. There is no way that this antenna is radiating correctly, as the pole that supports it is probably grounded (if it has been installed according to regulations), and even if it is not, it is inducing an imbalance into the tuned element, causing a large amount of RF to be attenuated. The user reports good results with it, which are most likely due to good luck. 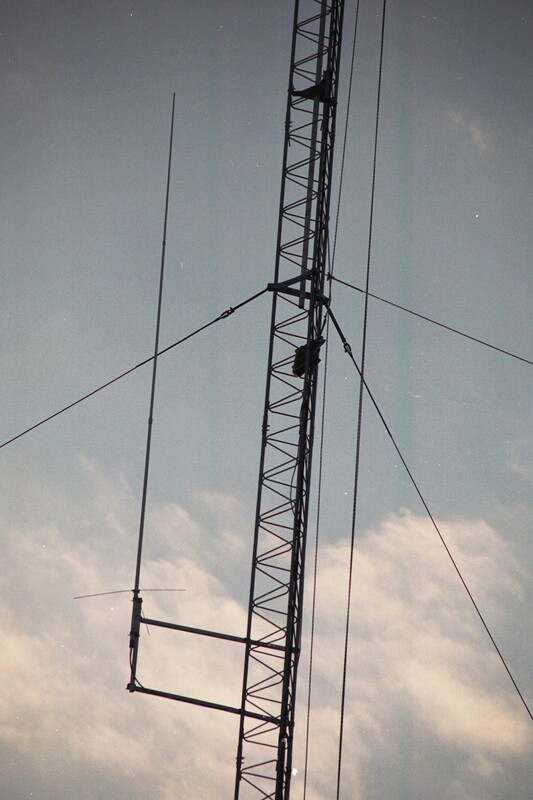 The second problem with this type of setup is that vertical antennas don’t emit downwards, and thus will provide very limited coverage to users below the antenna. There is some downwards bleed of course, but it will only reach lower users that are some distance away from the antenna. Check out Roger’s page, it is a very good read if you are interested in radio installations.